Do not expose your product to excessive heat or prolonged contact with seawater, chlorine, perfume, bleach, detergent and other strong chemicals. Avoid putting on cosmetics, spraying perfume or applying body lotion when wearing jewellery as they may contain chemicals that damage it, and can leave a dull film on the surface. Gently wipe the product with a soft, dry cloth from time to time to help it stay clean and shiny. Soap and water used together with a soft brush is effective for most jewellery care. However, it is recommended to use Silver Liquid for best results. This canbepurchased at our stores. Protect your jewellery from scratches when it is not being worn by separating it from other jewelleries, using separate compartments in your jewellery box or a fabric-lined jewellery box. Otherwise, wrap each of the jewelleries with soft tissue paper if an ordinary box is used. As a natural material, silver reacts with its environment, especially the chemicals in the air and, over time, silver does become tarnished. This doesn’t mean that your fabulous new piece of jewellery is defective, far from it, it just proves that your beautiful accessory is good quality silver. It’s very easy to get your silver jewellery back to its former glory and, like most things, the earlier you catch the tarnishthe easier it is to get rid of it. When tarnish starts to turn any colour from yellowy brown to black you may have to get it professionallycleaned. You can clean your mildly tarnished silver at home with Sterling Silver dips -but you do need to be careful! The dips, while very effective at removing tarnish, are equally as effective at removing the colour and polish off gemstones. It’s a good rule nottodip any jewellery with stones, but gemstones that are particularly affected are pearls, sodalite, malachite, lapis lazuli, white opals, turquoise or any soft or porous stones. Also remember not to leave your jewellery in the dip too long and don’t rinse it off with cold water otherwise you could find your jewellery gets a white residue which can be as hard to remove as the tarnish. To clean untarnished silver (and keep it that way), use a phosphate-free detergent or non-abrasive cloth made for cleaning jewellery -these cloths should come with a built in jewellery cleaner. There are also some preventative steps you can take -so that you won’t have to worry about tarnished silver. Cleaning your silver regularly is one way to avoid it but you can also avoid tarnish by wearing your jewellery often. Just be careful that when you’re wearing your silver that you don’t expose it to household chemicals, hair products, perfumes, cosmetics, perspiration, rubber, latex, chlorinated water or direct sunlight. Avoiding (or at least reducing)tarnish is easy,just make sure you put your make-up,perfume and hairspray on before you put your jewellery on-and take off your silver jewellery before you go swimming and sunbathing.Getting dressed just like your granny used to,with jewellery last,has more than just quaint traditionalism to recommend it- it’s a habit that’ll help keep your jewellery sparkling and beautiful. The natural beauty of the stimulated diamond is reveal by the professionalism of the Master Cutter. A well cut stimulated diamond, regardless of its shape, offers the greatest shine and brilliance. This is done so by cutting and positioning the many facetsofthe stone in the right position and geometric relationship to best reflect and disperse the light. The light is internally reflected from one mirror-like facet to another and then dispersed through the top of the stone. The result is the stunning display of its natural brilliance. 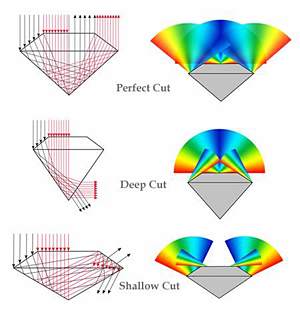 The better the cut, the more valuable the stimulated diamond will be. Stimulated diamond might contain characteristics in the form of minute traces of other minerals or crystallized carbon –the element from which they were formed. These characteristics are referred as internal inclusions. 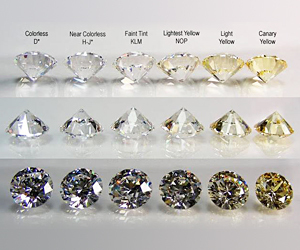 The number, colour, type and size of these inclusions, help determine the clarity of the stimulated diamond and make each piece unique. 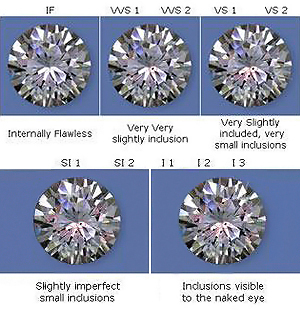 A stimulated diamond is said to be “flawless” if no inclusions can be seen under a standard 10x magnification. The fewer inclusions in the stimulated diamond, the clearer and more brilliant it is. 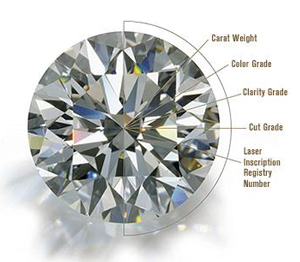 Stimulated diamond are graded using the GIA colour scale which ranges from D to Z. Colours are graded under controlled lighting conditions and are compared to a master set for accuracy. Truly colourless stones, graded D, are highest on the scale as it is treasured for their rarity. Carat weight is the international standard measure of a stimulated diamond’s size. The larger the stones, the more valuable it will be. However, two same carat stimulated diamonds have different values because of the differences in clarity, cut and colour. Therefore, carat weight does not tell you much about the stimulated diamonds’ values unless the other 3Cs are taken into consideration.